When you are building or remodeling, you have lots of choices to make. It can take weeks, even months, to decide on every detail. Keep in mind that you’ll be living with those choices for years – maybe even decades – so try to plan for future changes in lifestyle, mobility, and accessibility. Artisan Cabinet Company has an interior designer that will work with you complete the design for your new cabinets. Speaking of traffic patterns, the NKBA recommends “The width of a work aisle should be at least 42 inches for one cook and at least 48 inches for multiple cooks. The width of a walkway should be at least 36 inches. In a seating area where no traffic passes behind a seated diner, allow 32 inches of clearance from the counter/table edge to any wall or other obstruction behind the seating area. If traffic passes behind the seated diner, allow at least 36 inches to edge past or at least 44 inches to walk past. This is just the barest sample of the complete guidelines from the NKBA, which go on to cover topics such as door widths, safety features, recommended storage capacity/distribution, ventilation, lighting, and much more. In addition to the physical layout of the space, you should also give some thought as to how you and your family and friends will use it. That built-in desk set at a toddler-friendly height at the end of your island will be useless in just a few short years. Some families also have multiple generations sharing the space, and elderly parents need different accommodations than their younger children and grandchildren. Also, accidents and disease can render a family member wheelchair bound at any time. Even if that’s not the case for your family right now, a little forethought can reduce the need for another remodel in the future. As you might expect, the NKBA also has guidelines covering the subject of wheelchair clearances and limited mobility accommodations, which were developed in conjunction with the regulations stated in the Americans with Disabilities Act. There are also many industries dedicated to providing adaptive technology that can be installed within an existing home. 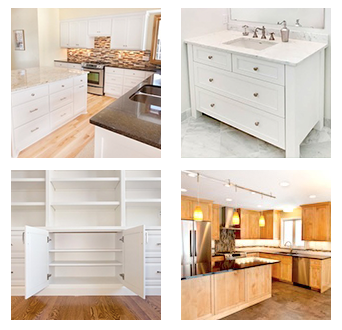 If these are important considerations for you, talk to your custom cabinet maker. Expert builders such as those at the Artisan Cabinet Company in Chaska, Minnesota, can design pieces that will be accessible for any given individual. Beyond the physical changes, there are mental changes, too. Tastes transform over the years, generally becoming more conservative. You may think that it’s a grand idea to have purple cabinets with silver trim right now, but in fifteen years? Twenty? Thirty? A better idea might be to choose a more traditional finish and pick out fun hardware instead. That’s much easier (and cheaper!) to change later on, especially if you try to sell your home at some point. With a little forethought, a little research, and good communication between you and your custom cabinet maker, there is no reason that your dream kitchen can’t be everything you wanted now, and in the future.